My new book Ideas and Paint, is a collection of essays and lessons on how to go about painting and drawing, making it a nice gift for any student or collector. I wrote this book in a simple and direct manner, relating sound advice and ideas that can enrich your understanding of the art process. Divided into short chapters, on such subjects as my color palette, drawing tips, and my thoughts on composing, this book includes many ideas handed down from artists I’ve studied with over the years. Ideas and Paint is the next best thing to a hands-on workshop. 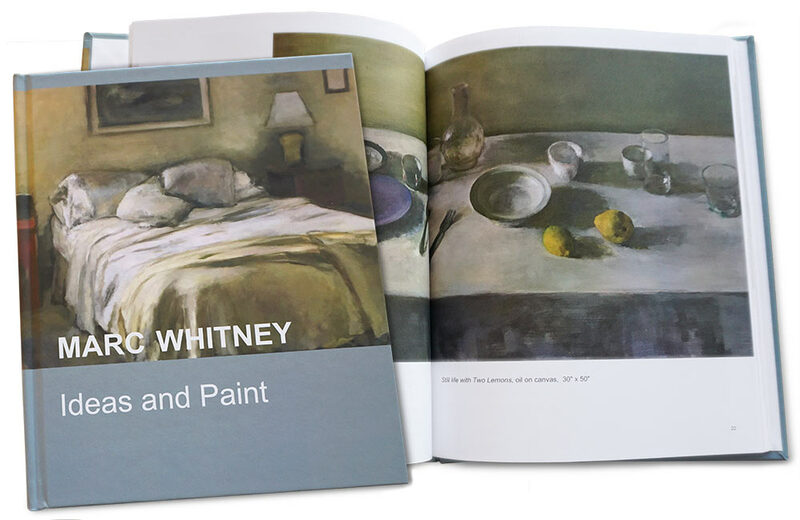 This book contains over 60 color reproductions of paintings and illustrations by me, Marc Whitney. A quick video glimpse of the book Flowers and Still Lifes.